…just removing WhatsApp bundles won’t work (subscribers would still use IM) so banning OTT services like WhatsApp might just be what these operators will consider. That was something we published in September last year. We were rightfully slammed for mounting nothing more than a speculative argument with a sensational suggestion. Nobody in their right minds would want to ban WhatsApp. We were wrong. It’s not the government that wants WhatsApp banned, it’s actually the mobile operators and the issue is less about reduced taxes and more about struggling with innovation. At the e-Tech Africa 2016 Conference, the minister of ICT, Supa Mandiwanzira revealed how the government rejected a proposal presented by the country’s mobile operators to explore the possibility of banning or stifling Over the Top (OTT) services like WhatsApp, Skype and Viber. This regulatory intervention was supposed to help the operators deal with the declining voice revenues in telecoms that have been accelerated by the same OTT services. Mandiwanzira says the government turned down this suggestion and instead, encouraged the operators to view this as an opportunity to encourage young Zimbabweans to develop local solutions that can rival the Silicon Valley OTT services while generating revenue that can benefit the country. This is what led to the telecoms operators’ commitment to a fund that will support Zimbabwean app developers. So far this revelation has led to a harsh criticism of local mobile operators and the public has chastised these rich telecoms companies for failing to innovate around technology, opting instead to lobby for the ban of services that have added so much value to the lives of people. Thanks to the Minister’s disclosure, the “villainous” nature of mobile operators has been exposed and their efforts to stop the inevitable, or as my colleague would call it, “standing in the way of technology’s natural progression”, have been made clear. As a consumer, I agree with this line of thought. Rather than lobby for the ban of WhatsApp, Skype, or any other disruptive OTT service, telecoms operators should be figuring out the best way to make something out of the unfolding opportunities presented by mobile broadband services. Aren’t there enough resources in the national telecoms operators’ war chests to figure out smart solutions that can, at least, stem the tide of communications disruption while maintaining the services that we all enjoy? After all, they did that with social media bundles, right? They should have an idea of what to do next. The reality, though, is that these operators are responding to changes that they never anticipated, whose effects they can’t control. The request for the ban, or regulation is, as has been the case in countries like Morocco and most recently South Africa, a way to contain the damage. That hardly justifies it, but it puts the request into context. Service re-engineering and the development of new revenue centres don’t happen that easily, especially within organisations that are not grounded in innovation. Our mobile operators are certainly not built to respond in that way, opting instead to adopt external solutions before adapting them to local conditions. The innovation required certainly doesn’t happen when it’s prompted by sudden changes to the status quo. This same spirit of sudden disruption is an extension of all new age technologies and is, in some sense, analogous to what we are seeing with on-demand services like Airbnb and Uber that are upending service lines that have existed for generations. There is no quick solution that can save that situation, and least of all from the providers of the traditionally sound, cash spinning business models. Mobile network operators are unfortunately stuck in the middle of a similar industry metamorphosis storm which has been accelerated by the very same technologies that they have always wanted to deliver to subscribers. Over the years, they have invested fortunes in expanding and improving the delivery of stable services like voice communication while also ploughing into the future through broadband services investments which are now, ironically, rendering their cash cows irrelevant. It’s a dramatisation of the internet and technology’s two-faced nature. If you capture it and use it to provide a solution, it will accelerate your service’s growth and development and by riding that wave successfully you will be rewarded handsomely. However, the same wave that elevates you can just as easily wipe you out, making way for a new solution that makes you redundant. Mobile operators had their golden years – opening us to voice communication and literally placing the key to the digital age in the palm of our hands. They have (at a very high cost to the consumers) brought communication and knowledge to people’s fingertips and are still redefining the possibilities of financial inclusion faster than would have been possible in our lifetimes. In the process, they built up new industries and tore down others, upturning services that had enjoyed a firm place in people’s lives. It’s a script that the postman, phone shop worker, internet cafe owner and retail banker know too well. Now it’s the telecoms operators’ turn to be the star of the show. It’s hard to say just how quickly mobile telecoms will be outpaced by OTT services. With the slow adoption of mobile broadband and regulators that aren’t as vigilant about the cost of data, even the least dynamic operator is guaranteed to survive for an extensive period as people still hold on to “outdated, low entry technology” like voice communication and SMS. At the same time, you never know how the next lobby effort plays out. If the people with the final say at the time aren’t as forward minded or politically savvy, we just might get WhatsApp banned. For now, let’s just be glad that it’s just a passing debate on telecoms innovation and sensational suggestion. Bravo! Great article. I had the same chain of thought last night whilst listening to Supa’s interview on ZiFM. To be fair, as you rightly pointed out, technology is moving faster then they can recoup on their investment. Other nations are testing 5G and we just have 4G properly rolled out by one mobile carrier. Even if they want to be innovative the consumer is also price sensitive and no amount of bundles can bring in revenue fast enough. 52% decline in Econet’s reported revenue. BUT as a capitalist i would also advocate for the ban, not because i expect government to approve it, but to alert them that i will not meet expected tax obligations going forward. When the CIO realises they cannot snoop on encrypted whatsapp calls these services will be banned trust me. Its ironic that Econet and Telecel should thank the govt. for banning Blackberry (BIS and BES). This saved them from investing in an otherwise now defunct platform. The problem with our mobile operators is that they prefer to live in the past and not think into the future. Take a look at Strive for example, a self proclaimed “fast follower”, meaning he doesn’t innovate but follows the footsteps of American innovators and replicates that in Zimbabwe. But apparently, he seems to be a slow follower. Rather than wait for circumstances to happen to them by waiting for new disruptive innovations to happen in America, they should anticipate them before they happen so they already have a plan to tackle the problem. Than to wait for the problem to occur then look for some American to follow as a solution. The best companies in the world don’t wait for the future to happen to them, they dictate the future. They constantly looking to see what’s coming next and how to capitalize on it. Most companies in the U.S hire a specialist they call a “future forecaster” to predict market trends and coming tech. Yah but most telecoms companies in the world are struggling.I think the whole concept of survival going forward will be to reduce fixed costs because internet is gonna be cheaper and cheaper by the day. Like I said, that’s what you call surrendering to circumstances. The fact that telecommunications co.s all over the world are struggling should tell you one thing, the best innovators are not in biggest of companies but are opening disruptive start ups. Meaning again telecommunications co.s will fall in the hands of breakout innovators like Zuckerberg if they keep this up. The Music Industry used to make most of its money out of selling records but with the emergence of the Internet, bluetooth, the apple music playand the likes, sales dropped but did the music industry ask for its competitors to be banned? No. The music industry migrated from just selling records to selling fashion labels, Jayze for example made his album available for free download at Samsung stores, making use of the Internet that cut on his record sales. Instead of banning OTT services, they should instead seek to ban zero-rating and differential pricing of websites and or data. With the current scenario, innovation will be difficult given 34% of internet users use the internet for Whatsapp. To innovatre you need people willing to break things and go against orders(within limits). And all cellphone operators have noone to blame bt themselves the sms margin was too high what like 6c profit and you let others do your job cz you were happy. Imagine if telcos were serious they cld have bought and now be charging like $0.001 per message. Pricing models in Zimbabwe are distorted. To digress when fuel blending was introduced the gvt claimed it would reduce cost of fuel however fuel remains expensive. Ngavatoita zvanaSolar nanaKwese TV pamwe zvingaita nani. My question is why telcos’ focus is on banning these apps when they are a source of revenue. In my own opinion l think these apps (will) bring in more money (in the future) than traditional sms/voice. Take a look at opera, fb, whatsapp bundles. And l, not being a fan of social media, l use opera mini a lot for research. Almost every week l buy the opera bundle. That is at least $4 each month. 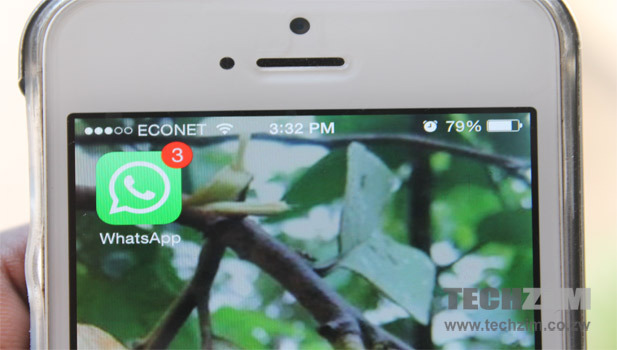 Remember Econet’s $5 sms recharge voucher with something like 100 sms or $1 with 20 sms. If l were a “regular” whatsapp user with my $0,95 bundle every week that would be roughly $4 each month. What if someone has fb, instagram, twitter etc? Clearly this exceeds the revenue traditional business models would have made. Per subscriber there is money to be made, if they use data on the bundles l purchase frequently. Is it a lack of service customisation? A one-size-fits-all mentality? Someone is clearly not doing his/her job well or I am clearly ignorant. There challenge here is not abt innovation but abt embracing the future & the new set of rules that come along with it. And the future require a change in business models, employee skills etc. Maybe they are too afraid of reinventing themselves or (as we used to say at school) fear of the uknown. The real problem is no one is really “inspired to change” our world..